Our goal at ECUMASTER is to provide the best possible products at an affordable price. The new EMU Classic is evidence of our dedication to that goal. We have improved the design of the EMU based on customer feedback and have kept the price at a similar level. EMU Classic is designed to operate the most advanced and complex engines presently available. The EMU CLASSIC controls fueling, ignition and auxiliary systems on 1-12 cylinder engines including those with drive-by-wire throttles1 and VVT. The adaptable firmware means the most awkward crank trigger patterns can be utilized allowing future proofing for new patterns not yet released. It can drive up to 6 passive or 12 smart coils directly and does not require external amplifier/power modules to achieve this. Sophisticated drive-by-wire strategies provide a wide range of throttle control along with advanced plausibility (fault/error) checking for safety. 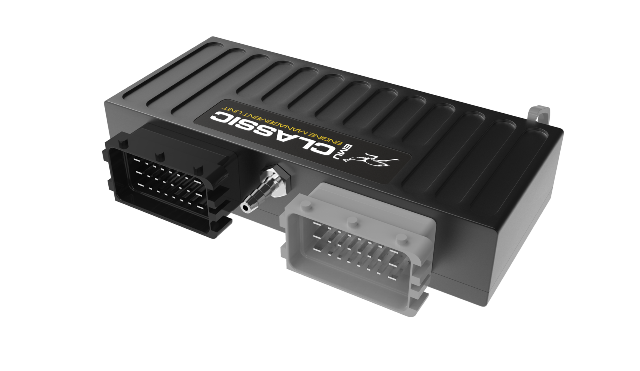 The EMU features more built-in value than any other aftermarket ECU. It easily matches the functionality of other stand-alone management systems with multiple inputs and outputs. 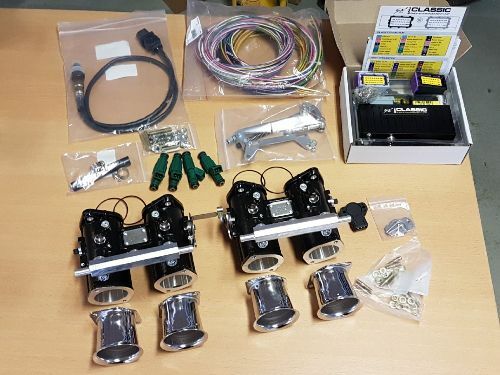 Unlike many other ECU systems, EMU has built in wideband lambda input (Bosch LSU 4.2 sensors wire directly), MAP control connector (4 bar MAP sensor on board), 2 EGT probe inputs and an input for directly connecting a Flex Fuel ethanol content sensor. All of this provides greater flexibility, reduces costs and negates the requirement for external or supplemental signal conditioning control systems and the associated wiring that other management systems require. 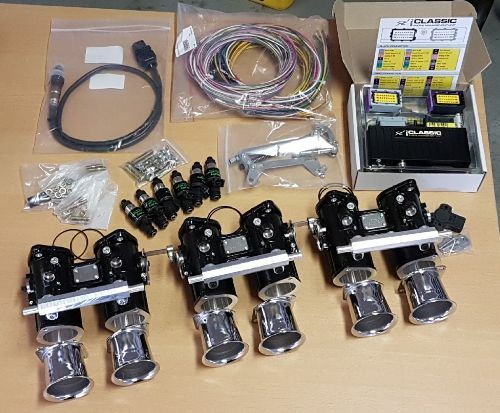 Map switching, launch control, adaptive Lambda control, flex fuel and wheel slip control are among many of the software controllable options available.